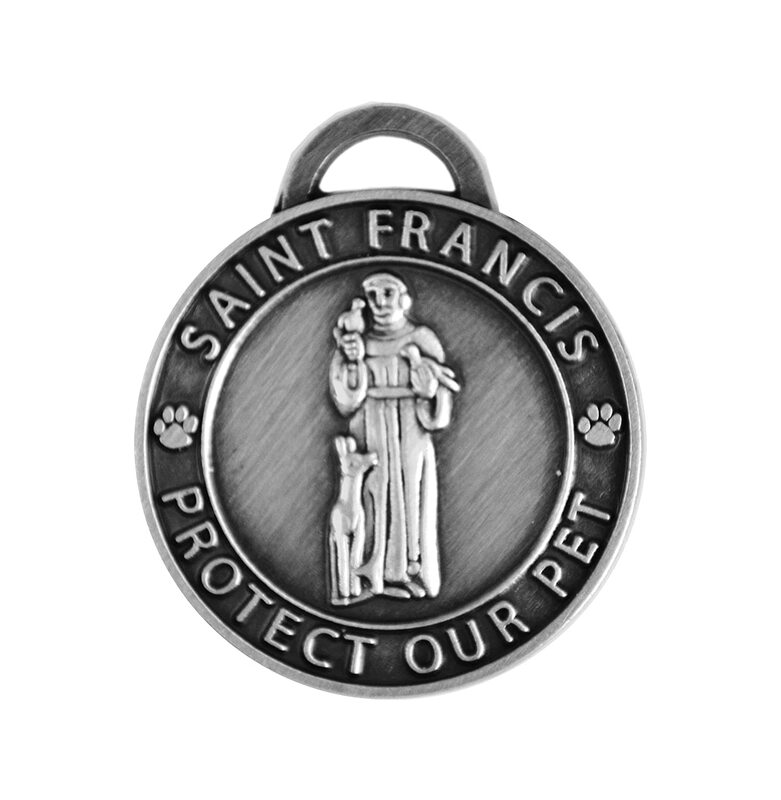 Pet id tag saint Francis of assisi silver. for now and always, please watch over our pets and keep them safe, on earth as in heaven. suitable for engraving on the backside and can double as an id tag.